Carl Frampton retained his IBF super-bantamweight title after knocking out American challenger Chris Avalos in front of a raucous crowd in his hometown of Belfast. A raucous Belfast crowd grew increasingly pumped up during the course of the night; their passion being a massive tool in Frampton's arsenal to get drive him past Avalos. Both fighters began cautiously, with Avalos closing the distance on Frampton but failed to land any real eye-catching shots in the opener. The hometown hero landed a terrific right hand cross, however on two occasions in the first round Avalos was sternly warned by referee Howard Foster for repeatedly punching Frampton on the break. The Jackal edged the opener. Avalos continued to pile on the pressure; maintaining his position on the inside but to Frampton's advantage his American opponent appearead to injure his elbow. 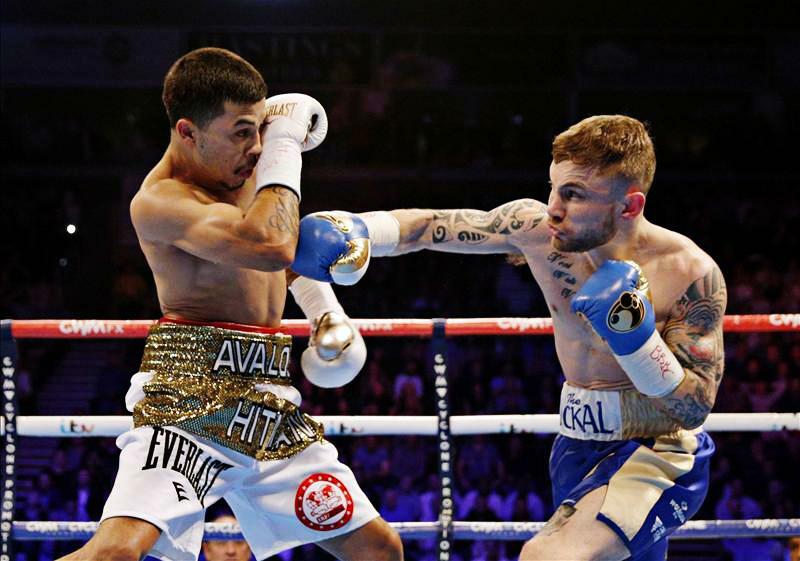 While the seemingly hurt Avalos backed up towards the ropes, without the referee pausing proceedings, Frampton scampered forward and unleashed a savage combination of blows to the head. Later in the second, The Jackal continued to pick his punches well and racked up another round. Avalos unravelled even more in the third, and clumisly plunged forward onto several well picked shots from Frampton who staggered his man in the third with a stiff, forceful jab. Despite the champion's disadvantage in the reach category with shorter arms, Frampton fully established his jab thus proving that timing can beat reach. Both men weren't hesitating to throw, and Frampton's classy combinations continuing to snap Avalos' head back further emphasised that. However, a cut appeared on the right eye of the IBF champion but the excellent work in his corner soon got rid of that first disadvantage. Avalos took increasingly more punishment in the fifth round, and Frampton yet again had his man on the ropes after repeated stinging shots took their toll. The Jackal sensed his man was rocked, and another batch of quick, brutal combinations weakened a groggy Avalos who collapsed to the canvas. He survived, but moments later after being staggered once again; referee Howard Foster called a halt to proceedings to a raucous response from a passionate Belfast crowd as Frampton embraced up on a team member's shoulder.